I still remember the first time I ever saw a fresh date. It looked like a bug and, while sweet, was gooey and sticky (something I did not at all care for as a child) and had an extremely unpleasant texture and aftertaste that made me avoid them like the plague through the rest of my childhood. Just the thought of them was enough to make me shudder. Later, when I was an adult, my sister made a chocolate pie that had a date mix in it. That tasted pretty good, and I decided maybe dates weren't all bad. 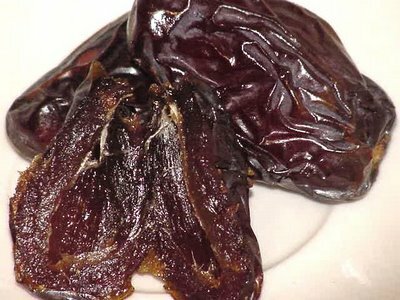 I still avoided them in any other format, but at least there was something that had dates that I not only could eat, but actually enjoyed. And then whoever made the date filling mix took it off the market and that was the end of that. While no longer grossed out at the thought of a date, I never actively pursued one. But something has happened to my tastebuds over time. Tonight I stopped at the grocery store on my way home from work. I mainly needed some apples, but ended up throwing baby eggplants, tomatoes and onions into my cart with some vague idea of cooking up something sauce-y for couscous or pasta later in the week. I don't know why my eye was caught by the container of fresh figs, or what prompted me to throw it into my basket, but there it was, and now here it is. I popped open the box when I got home and took one out. It was exactly the same as I remembered that first disgusting date I ate when I was little. Except that this time they are delicious. No unpleasant texture. No unpleasant aftertaste. Just sweet sticky goodness to eat slowly and to savor. And now I'm wondering what other childhood dislikes I should maybe think about revisiting. The top photo is of dried dates (fresh ones are green and crunchy) - or possibly dates somewhere in between fresh and dried - there's a name for all the stages. 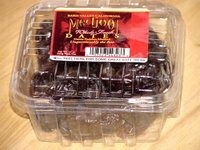 And then you mention a box of fresh figs, but refer to them as dates. Did you mean a box of dates? Because the two aren't really similar. Oopsie. They're definitely dates. They were right next to the figs at the store, though, so maybe that's why I got confused and wrote figs there. As to whether they're fresh, dried, or somewhere in between, I was wondering about that, but the package definitely says Whole Fresh Dates, so I went with that. Having that long-standing aversion to them, I never really paid attention to whether or not they came any other way. Whatever they are, they're really good and I'm thoroughly enjoying them. And I was happy just to have made it to three posts in one week! Hi Deb! Its Yam. If you find yourself with some time on your hands, my favorite tapas are bacon wrapped dates I had at Cafe Ba BaReeba. I tried them at home, I first stuffed the dates with goat cheese then wrapped them in a half slice of bacon. Bake in 350 oven for 20 minutes or until crackly, and voila! delicious date yumminess! 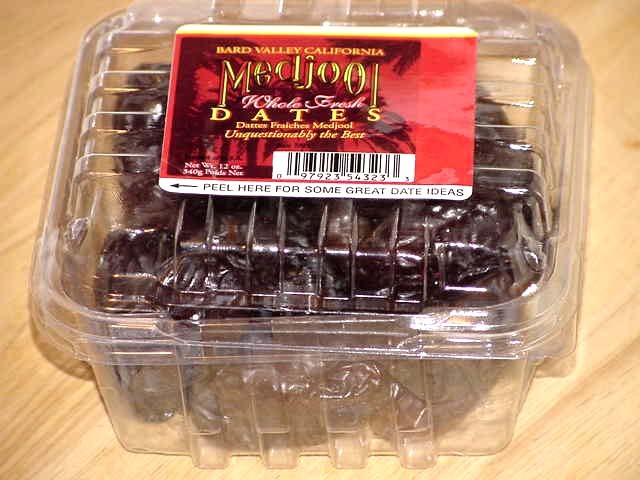 "Fresh" dates come in a variety of stages from green and very hard to something close to what you get in the store as "dried". I wrote a piece for WellFed about 'em a while back. I love dates at the mid-way stage, when they've softened up and are still sweet and sticky but not hard and dried out. It's like biting into a mouthful of honey. Well I'm back from my "it's the end of the week and I don't have time to go online" mode. Yam, I think you've told me about those dates before because the minute I read "bacon" I started salivating like a Pavlov Dog. That sounds really really good and I am definitely going to make them. Sheryl, after your original comment I did some research and discovered that the term "fresh" has a fairly loose definition when it comes to dates. I saw pictures of the green ones you described, but I also saw lots like the ones I bought that were also described as fresh. I'll have to look for the mid-way dates. They sound fantastic.